Belmond reveals its new look with a campaign titled, ‘The Art of Belmond’ – an invitation to enter the ‘Wonderful World of Belmond’. A stylish new global advertising campaign celebrating the art of living well – the ‘Art of Savoir-Vivre’ – brings to life the heart and soul of Belmond and its global travel experiences – a world full of extraordinary characters and inspiring locations. 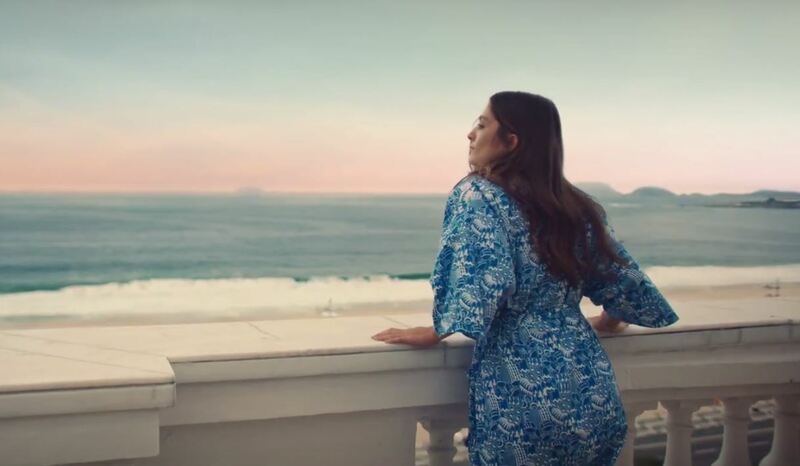 The new campaign supports a key part of the Company’s strategic plan to raise the brand awareness, and strengthen its position in the luxury travel market as a brand that offers genuine and authentic escapes. 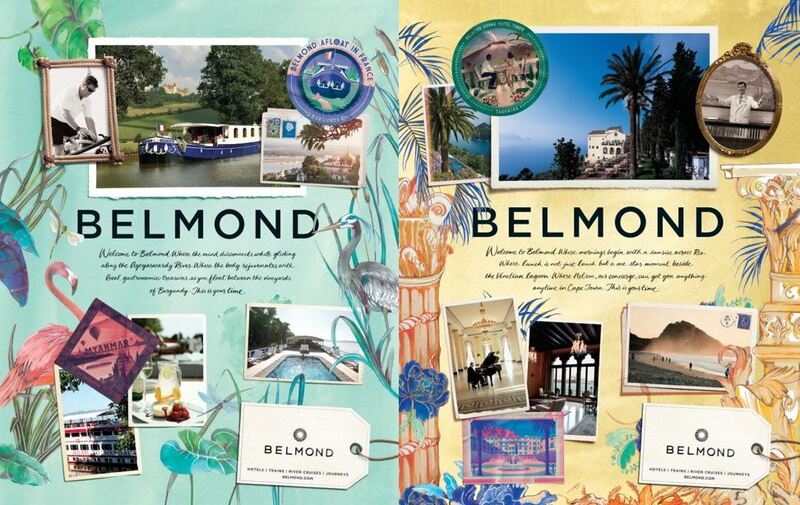 The full campaign launches on 11 October with a strategic media plan heavily focused on attracting new audiences to Belmond through social and digital channels. Created by a series of artists – ‘The Art of Belmond’ includes a cinematographic film, print and digital adverts designed to inspire today’s world travellers, millennials and global citizens. The Art of Savoir Vivre is a series of six short films, following six moments of a guest experience with Belmond. They invite the audience to step into the wonderful world of Belmond, portrayed as a world that is almost as mythical as its guests. Directed by acclaimed film director Romain Chassaing, the films follow a stylish cast of global jet setters travelling from Rio to Venice, taking their time to enjoy the art of living. Witty and quirky, it encapsulates the spirit of Belmond. Inspired by the golden age of travel, Belmond has created a series of collectible travel stickers that reflect the individual personality of each travel experience. Five pop artists have created one for each hotel, train, river cruise and safari lodge that reinterprets the past with a modern new look – ‘Contemporary Nostalgia’. Guests will be able to build their global collection of travel stickers as they travel throughout the wonderful world of Belmond. 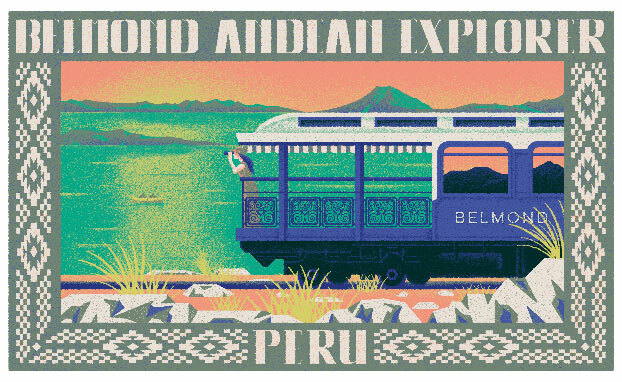 Five inspirational travel posters represent the ‘Wonderful World of Belmond’ in a bold new way. Full of colour and graphic illustrations, this fresh look unites the Belmond products under five collections, Historic Hotels, Resorts & Nature, Cruises, Trains and Journeys. “Finally, we wanted to portrait some exceptional and genuine characters who have worked with us for generations and all have a tale to tell. The Art of Belmond campaign both celebrates and unites our beautiful hotels and personalities with a fresh look that marks the beginning of our new heritage.” continues Mr Champenois. First Light with Leica Sport Optics – celebrating the mornings and bringing guests closer to nature. 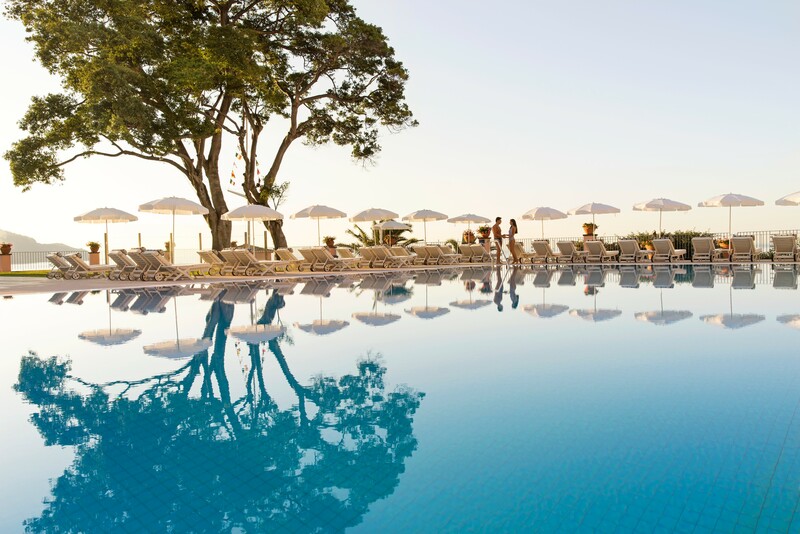 First Light with Leica Sport Optics will be available at Belmond Hotel Cataratas, Iguassu Falls, Brazil, Belmond La Residencia, Deià, Mallorca and Belmond Mount Nelson Hotel, Cape Town, South Africa. Exceptional Music in Exceptional Locations with London Philharmonic Orchestra – musical performances set within Belmond’s inspiring locations launching with a special concert at Belmond Reid’s Palace, Madeira on 7 December 2017. Launching on 11 October, a strategic media plan sharing #TheArtofBelmond, drives content across social, digital and select print channels, with the aim of attracting a new global audience to the brand. This is all combined with a new digital ecosystem including a new website full of inspiring content, linking the full range of Belmond adventures together and with a phased roll out to include personalised content for guests and a fully integrated booking system. ‘This new campaign articulates who we really are and celebrates our heritage and the authenticity of our individual properties. At the same time, it tells the story of why all these beautiful properties belong together, united under the Belmond flag,’ concludes Mr Champenois.